Who needs E-Verify when you can appoint an illegal alien to a statewide post? As with a host of other looney, infuriating, and/or illegal things, California is the first state to have done exactly that. The California State Senate has appointed an illegal alien who is both an attorney—legally permitted to practice law in the Golden State—and an immigrants rights activist (read illegal immigrants rights activist) as a financial aid advisor. Lizbeth Mateo, 33, has been appointed to serve on the California Student Opportunity and Access Program Project Grant Advisory Committee. She was brought to the US by her parents when she was 14, graduated from Santa Clara University Law School in 2016, and passed the California bar last year. The committee needs her to advise them on how California taxpayers can spend more money on illegal immigrants’ higher education. Technically, her mission is to advise the commission on efforts to increase college access for students from low-income or “underserved” communities, but we all know what that means. You don’t need to wonder if “underserved communities” is code for “illegal alien communities” because Ms. Mateo herself tells us it is. “While undocumented students have become more visible in our state, they remain underrepresented in places where decisions that affect them are being made." Translation: There are no shadows left in which illegal aliens are forced to live in California, and it is now time for them to take control of the increasingly generous benefits that accrue from their illegal status. In other words, illegal aliens will now be making decisions that affect the rest of us in the form of tax dollars spent on their higher education; reduced college access for American citizens because illegals are in those spots; and fewer low-wage jobs available to working class Americans in college towns that attract illegal aliens by dint of all the education benefits. A citizen advisor to the committee who would otherwise be making decisions that affect illegal aliens is being replaced by an illegal alien advisor making decisions that affect California citizens. To top it all off, tax dollars will be used to reimburse Ms. Mateo for her expenses, a violation of federal law about which California cares not one whit. The illegal tail is wagging the citizen dog. California makes no bones about its near fanatical mission to elevate illegal immigrants’ rights above California citizens’ rights. Phase one, essentially complete, is having no distinction—no advantage, no protection, no rights—of citizenship over non-citizenship. Our beloved Constitution, ironically, goes a long way toward making California’s mission easier. The Supreme Court has ruled that illegal aliens on American soil have due process rights thanks to the Equal Protection Clause of the Fourteenth Amendment. When the ACLU sued the Trump administration to block the removal of DACA recipients, it was based on this reading of the amendment. Phase two, revving its engine, is promoting illegal alien “rights” at the cost of both public safety and California citizens’ control over how their tax dollars are spent. California already allows illegals to practice law, get a driver’s license, receive in-state tuition, and receive some welfare benefits. If an illegal alien is arrested, the state will even pay his or her legal fees, presumably to the aforementioned illegal alien attorneys. Sanctuary cities—states, in the case of California—are the biggest threat to public safety in the illegal immigrant world. When Oakland’s mayor warns illegal immigrants of impending ICE raids, and they scatter, ICE doesn’t stop looking for them. The harder they hide, the harder ICE has to look, which puts ICE agents and the public in greater danger as the risk of a standoff in the community increases. It also puts additional illegal aliens at risk for deportation if they are discovered incident to ICE searching the community for the designated illegal aliens. Talk about the law of unintended consequences. 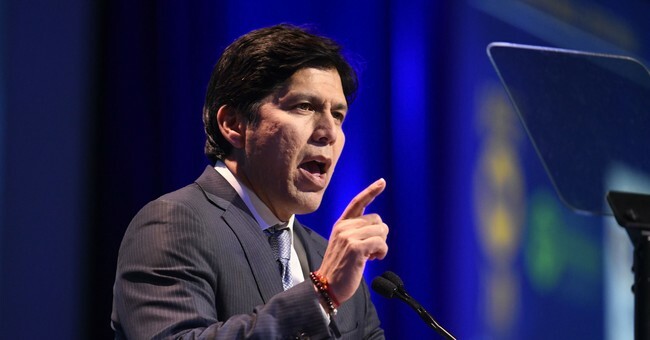 California Senate Pro Tempore Kevin de León signaled a triumph of phase two when he announced Ms. Mateo’s appointment. “Ms. Mateo is a courageous, determined and intelligent young woman who at great personal risk has dedicated herself to fight for those seeking their rightful place in this country." Their rightful place? Let’s look at Ms. Mateo’s fight for her “rightful” place. In 2013, Ms. Mateo was central in helping a group of illegal aliens called the “Dream 9” cross the US border illegally after deportation, a felony. While it is a misdemeanor to cross the border illegally, it is a felony to cross illegally after having been deported. She assisted these aliens in the commission of a felony, yet she practices law today. She also advocates abolishing ICE, the agency whose mission is to protect American citizens from illegal immigration. For Ms. Mateo, ICE is an inconvenient reminder that she is, in fact, an illegal alien who has been denied DACA twice thanks to her trip to Mexico for the Dream 9. Her rightful place my eye! California is so hell-bent on defying federal authorities, it looks like secession in the making. Maybe we should help them along. Let’s give them back to Mexico before they have the chance to secede. In about two seconds they’ll be trying to cross the border into Texas, but Texas, God love them, takes the rule of law seriously. Too bad so sad California elites. You wanted Mexico in California? You get California in Mexico. Enjoy!